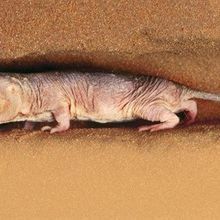 What can a twentysomething naked mole-rat tell us about fighting pain, cancer, and aging? Delivering a missing enzyme to the brains of paralyzed children with a rare, life-threatening neurological disease restores movement and builds muscle mass. Examples of parasites that manipulate the behavior of their hosts are not hard to come by, but scientists have only recently begun to understand how they induce such dramatic changes. The mother of disabled twins doggedly pursued the root of her children's illness and found it in their genome profiles. A common dietary supplement alters neurotransmission to ease anxiety. The well-studied hormone functions as a neurotransmitter in the brains of zebra finches. As much as rainforests or deep-sea vents, the human gut holds rich stores of microbial chemicals that should be mined for their pharmacological potential.